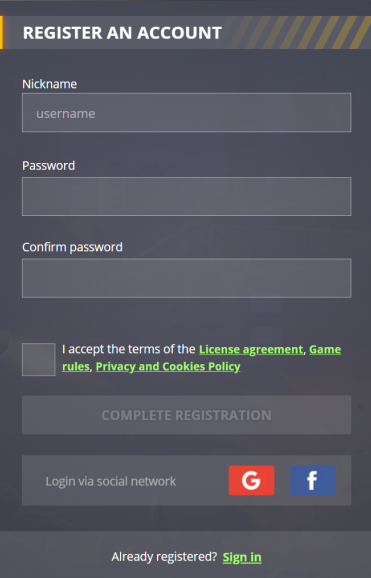 Please ensure you're familiar with the Game Rules and the License Agreement before registering! Click on Play on the right side of the main page. The registration form will appear. 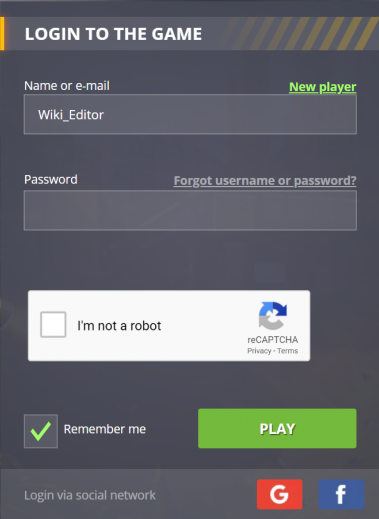 Choose and enter your nickname and password here. After that, re-enter your same password in the third field called Repeat. Once all three fields are correct, click on the Complete button. Your new account has now been registered. This function is necessary in order for your account to remain secure. It is also helpful in case of emergency situations, such as password recovery or server failure. 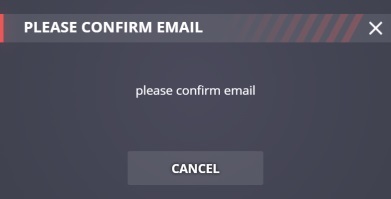 The same e-mail address will be used to receive all important e-mails from the game (e.g. confirmation of registration, information about updates etc.). Make sure you link an e-mail address to which you have regular access. 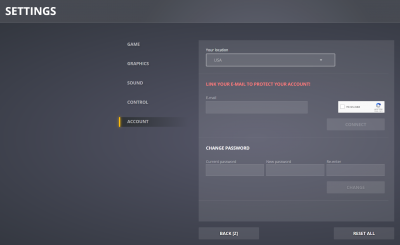 While in the game, click on Settings in the top-right hand corner of the screen. Your account is now linked with your e-mail address. 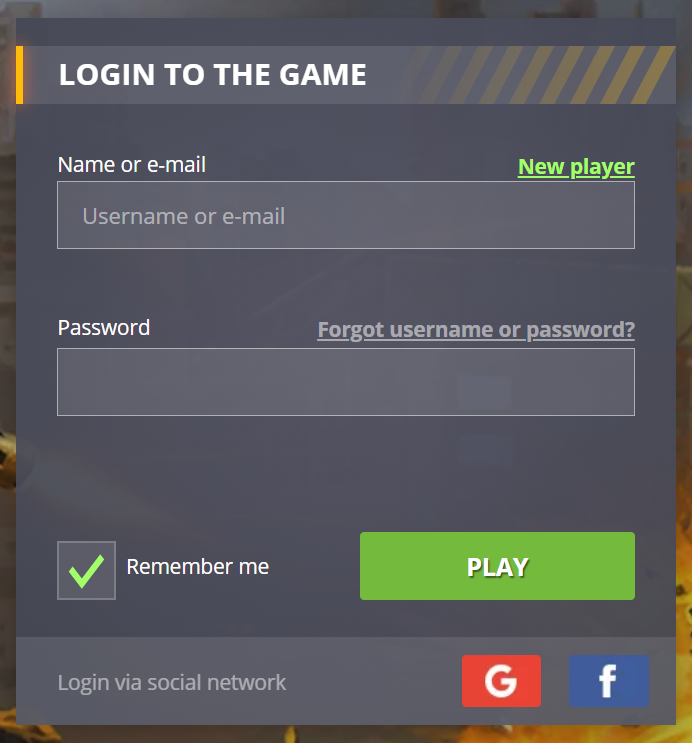 Everyone who enters the game for the first time will see the registration form. 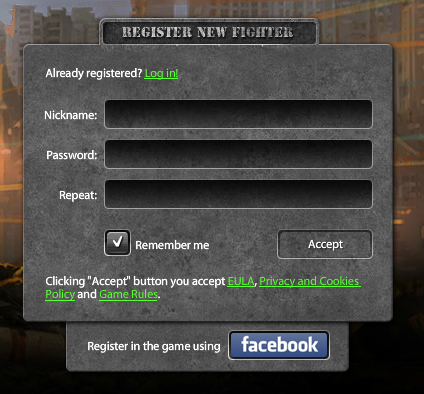 Instead of registering here, new players have the option to sign up via Facebook. 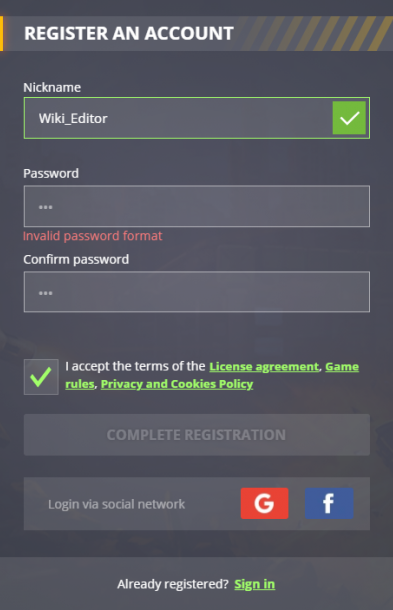 Click on the Facebook icon at the bottom of the form. 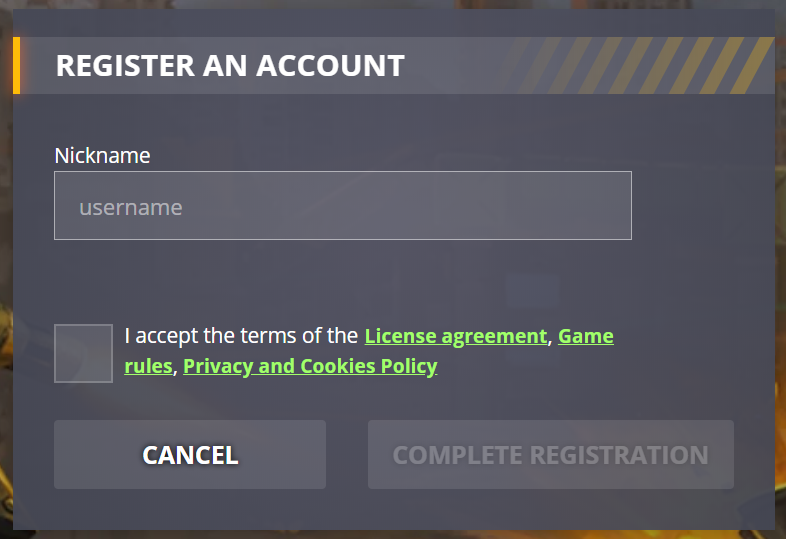 After entering your nickname and clicking Accept, your account is now registered. From then on, you will be able to enter the game by simply clicking on the Facebook icon. 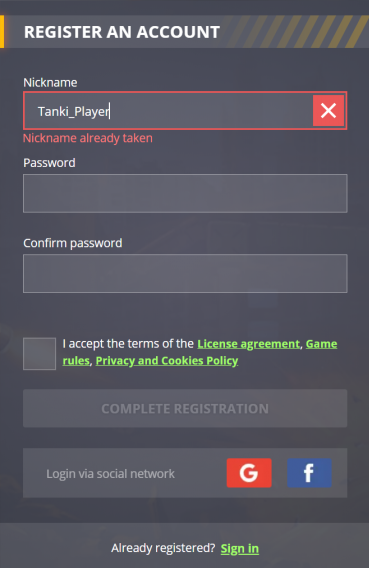 When linking your account using the entry screen, you will need to re-enter your Tanki Online nickname and password once again, in order to prove that this account is really yours. 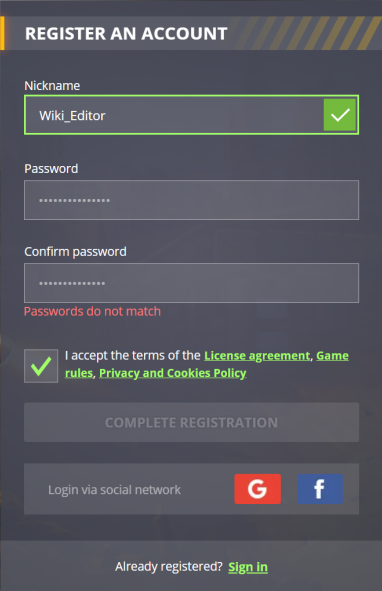 Else, if you link your account using the Settings menu, you won't need to enter your password, as you are already logged into the game. Everything will be done straight away! 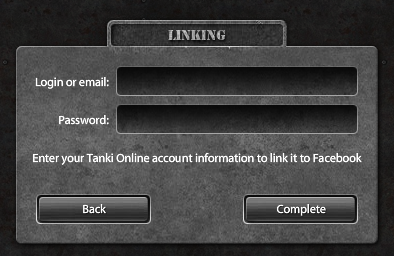 Please note that you can only link one Tanki Online account to a Facebook profile. 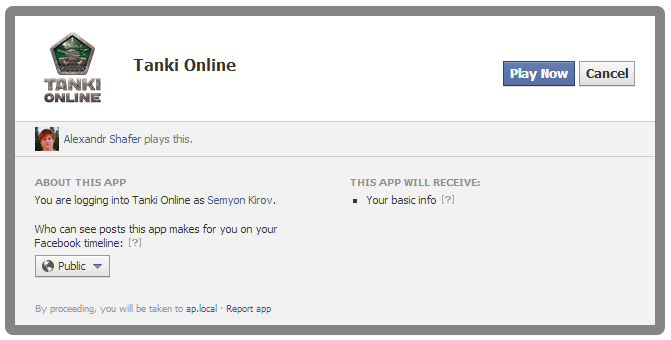 If you want to unlink your TO account from Facebook, simply go to Settings and click on the Facebook icon. This page was last modified on 25 August 2017, at 08:37. This page has been accessed 169,327 times.